Modeling the Way to Trust, Pride, and Community | UC Berkeley Student Affairs Community Blog! The GO BIG staff team has worked hard for the past 9+ months to prepare for the first Community Conversation that will be held on Monday, October 5th, 2015. As we move forward in the planning process, we continue to reflect on staff members in Student Affairs who already live and exemplify the values of trust, pride, and community. Best practice tells us that these factors help make a great workplace. During a recent GO BIG Council meeting, the team was asked who prime example of trust, pride, and community in our workplace. 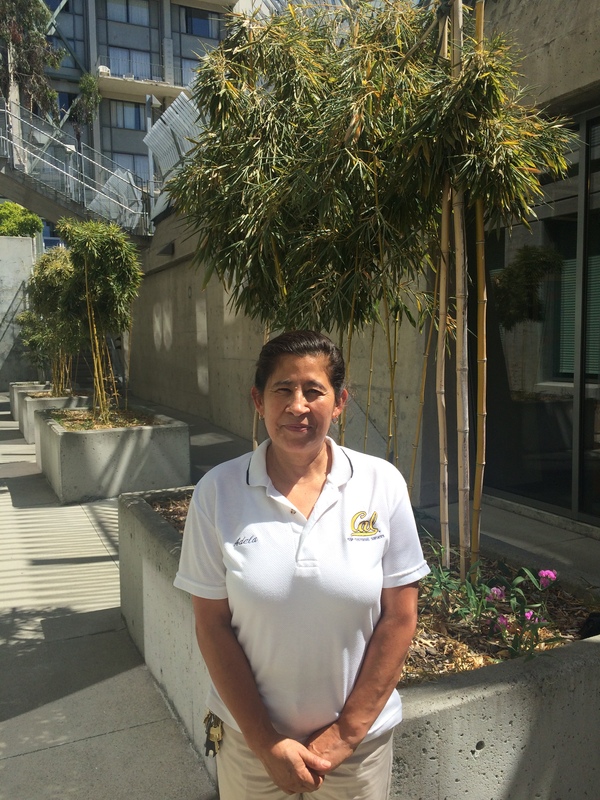 Manager and GO BIG team member Mark Kinnard stated that one of his staff members, Adela Rodriguez, RSSP Custodial Supervisor at Unit 1 is a shining example. 1. Always be a team member. 2. Treat staff the way you want to be treated. 3. Understand the impact on those you serve. 4. It’s vital to motivate staff and connect them to the mission of our work. 5. Building community is important for your staff. We can all learn from Adela and what actions and behaviors we can do to model the way for our staff and colleagues. THANK YOU Adela–for being an inspiration to all of us in Student Affairs, being a shining example of what it takes to create a great workplace, and reminding us that we continually impact the students we serve each day! I personally have seen first hand how wonderful and kind Adela is with everyone she comes into contact with. She and Mina both take great pride in their work and it definitely contributes to our success during the summer conference season. Thank you Adela!!! Pingback: A Manager’s Way to Pride, Trust and Community | UC Berkeley Student Affairs: GO BIG!